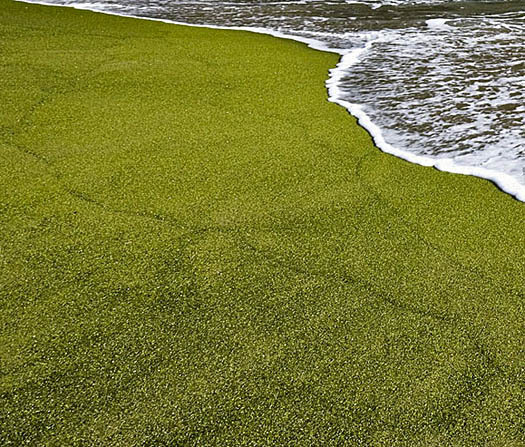 Mahana Beach on Hawaii’s Papakolea coast is one of only two green sand beaches in the world. 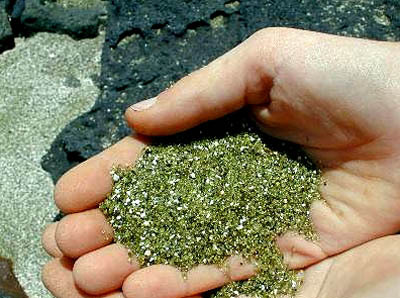 The beach sand on the Big Island’s undeveloped southern tip is rich in the mineral olivine (gem-quality olivine is known as peridot, the August birthstone). Olivine is a common mineral component of Hawaiian lavas and one of the first crystals to form as magma cools. Locals refer to peridot as the “Hawaiian Diamond,” and small peridot stones are sold as "Pele's tears" in honor of Pele, the goddess of volcanoes. In ancient Hawaiian chants, Pele was described as “She-who-shapes-the-sacred-land,” and her temper was known to be both as abundant and dangerous as the lava. Those daring enough to take the three-mile hike through lava fields to the remote beach at the crescent-shaped bay of Pu'u Mahana, will be treated to a display of one of nature’s crowning achievements — a green beach that appears surreal against the backdrop of steely grey cliffs, turquoise blue ocean and bright blue sky. “At sunset, the play of colors against the sand is simply breathtaking,” noted the web site justthetravel.com. 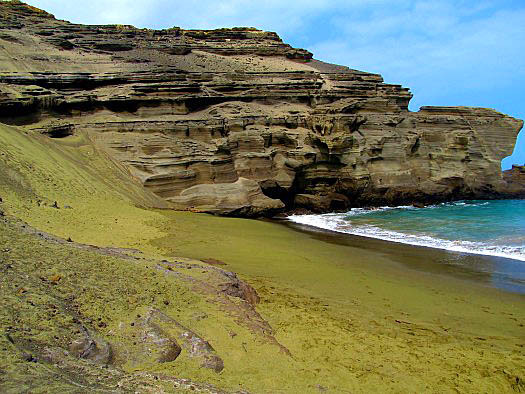 The abundance of olivine crystals filling the beach comes from the eroded cutaway interior of Pu'u Mahana, a volcanic cone produced more than 49,000 years ago by the explosive combination of lava and groundwater. Welcome to Music Friday when we bring you fun tunes with jewelry, gemstones or precious metals in the lyrics or title. Today’s selection is Katy Perry’s “One of the Boys,” the title track from her blockbuster 2008 album. Today’s song is the first track from One of the Boys, Perry’s Grammy-nominated second studio album. The album has sold more than five million copies worldwide and charted four songs on the Billboard Hot 100. Born Katheryn Elizabeth "Katy" Hudson, the 28-year-old Perry can boast nine Grammy Award nominations and the title of Billboard’s 2012 Woman of the Year. She’s credited with being the only artist to spend 69 consecutive weeks in the top 10 of the Billboard Hot 100. Describing novelist Jane Austen’s turquoise ring as a “national treasure” that must be “saved for the nation,” British authorities are blocking singer Kelly Clarkson’s attempt to take her $231,227 auction prize out of the country. The same authorities are appealing for a UK buyer to come forward with a matching offer while a temporary export ban is in place. British buyers have to make a play for the near-200-year-old ring before the ban is lifted on October 1. “Jane Austen’s modest lifestyle and her early death (at age 41) mean that objects associated with her of any kind are extremely rare, so I hope that a UK buyer comes forward so this simple but elegant ring can be saved for the nation,” UK Culture Minister Ed Vaizey said in a statement. The 2002 “American Idol” winner and pop sensation purchased the rare turquoise and gold ring in July 2012 at a Sotheby’s auction in London. It is one of only three pieces of jewelry in existence that can be connected to the famous 19th century author of such critically acclaimed novels as Sense and Sensibility, Pride and Prejudice and Emma. The provenance of the ring is well documented. Austen, who lived from 1775 until 1817, gave it to her sister, Cassandra, who then gave it to her sister-in-law Eleanor Austen when she became engaged to Henry Thomas Austen. The ring has remained in the Austen family ever since, according to the UK Department for Culture, Media and Sport. “Jane Austen placed great significance on jewelry’s link to personal relationships both in her life and in her novels,” the Department of Culture said in a statement. 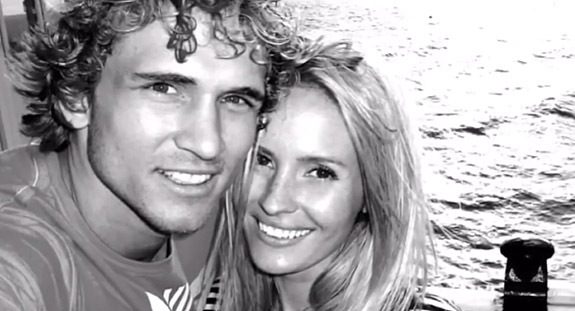 ABC News reported that Clarkson’s fiancé, Brandon Blackstock, had a replica of the Austen ring made for the singer while she waits for the outcome of this intercontinental drama. Clarkson agreed to sell the ring if a British buyer comes forward. But, even if she relinquishes the ring, she still possesses an important piece of Austen memorabilia — a first-edition copy of Persuasion that she purchased at the same Sotheby’s auction last July. A fabulous Burmese ruby jewelry collection originally valued at $257,000 during a 1998 episode of “Antiques Roadshow” recently earned a return visit from the popular PBS show and an updated appraisal — with surprising results. The three pieces, which included a diamond-and-ruby ring, bracelet and pendant, are now worth $400,000 to $450,000. Now in its 17th season, “Antiques Roadshow” travels to various cities to connect professional appraisers with ordinary people curious to learn what their family heirlooms or yard-sale bargains may be worth. Sometimes the so-called “treasures” are exposed as fakes and other times they’re worth a fortune. 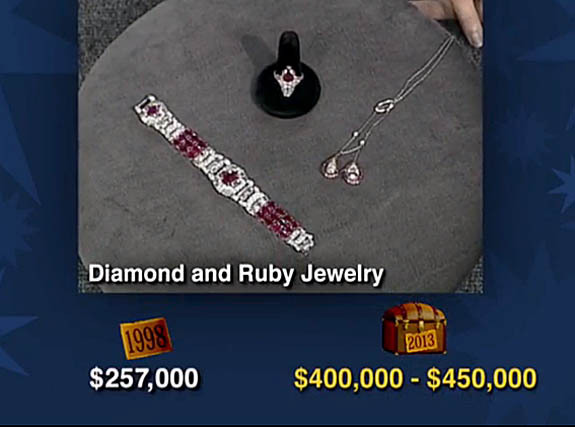 During the revisited 1998 episode, veteran appraiser Berj Zavian told a stunned woman in Richmond, Va., that the jewelry she inherited from her great aunt — the wife of a congressman who liked to lavish her with jewels — was worth more than a quarter millions dollars. Zavian explained that two of the pieces were from the Art Deco period (circa 1925) and one was dated to the 19th century. They each featured fine-quality Burmese rubies set in platinum. The dual diamond-and-ruby pendant was worth $12,000 and the diamond-and-ruby ring was worth $80,000, but the real showstopper was the diamond-and-ruby bracelet. Highlighted by a rare 3.5-carat Burmese ruby, the bracelet was adorned by 30 smaller rubies, 70 baguette diamonds and 144 round diamonds. The diamond carat weight totaled 15 carats. “I never thought it would be that much,” said the stunned guest. “The three pieces together in today's market are worth somewhere about $257,000,” said Zavian. At the conclusion of the segment a bold graphic summarized the value of the ruby collection — $257,000. But, then a second graphic added for last week’s "vintage" episode swooped into the frame with the updated value of $400,000 to $450,000. The dramatic change in value over 15 years illustrates the importance of keeping jewelry appraisals up to date. For instance, if the jewelry featured on “Antiques Roadshow” had been lost or stolen before the new appraisal, the owner may have been woefully underinsured. An updated appraisal is also indispensable when trying to ascertain the value of one’s jewelry for estate purposes, divorce settlements, private sales and loans. Experts advise that appraisals should be updated every two to three years. 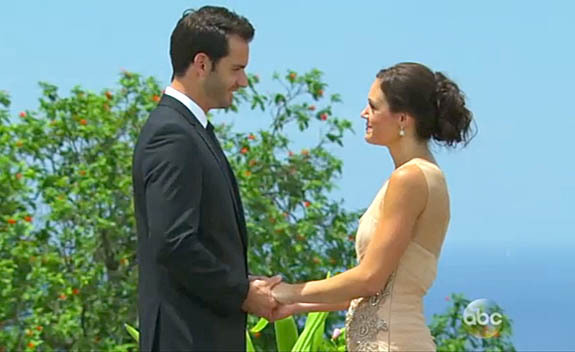 When heartthrob finalist Chris Siegfried met with designer Neil Lane to select an engagement ring for “The Bachelorette” Desiree Hartsock, he was immediately drawn to the beauty, symbolism and Old World charm of an unusual handcrafted design with entwined bands of platinum and rose gold, according to peoplestylewatch.com. 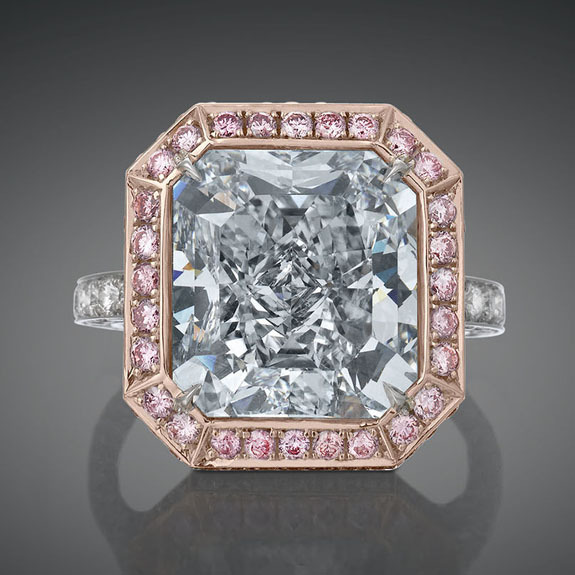 The ring features a large cushion-cut center diamond encircled by a halo of smaller diamonds. More than 200 diamonds are incorporated into the flowing vine-like design for a total of 3.5 carats. 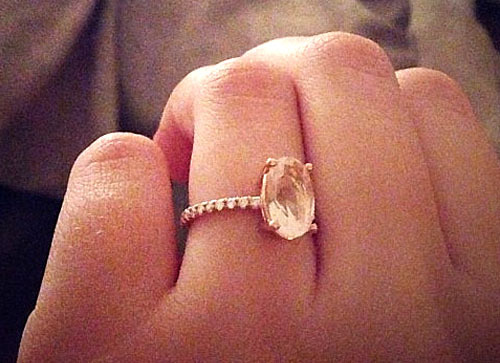 The ring is reportedly worth $75,000. Siegfried got down on bended knee and presented the vintage-style diamond ring to Hartsock on Monday night’s emotional finale of ABC’s “The Bachelorette.” The two-hour program and one-hour after-show was viewed by nearly 9 million teary-eyed fans. "I want to be your first and I want to be your last. Will you marry me?" Siegfried asked. Hartsock accepted the ring and gave him the final rose. They embraced, they kissed — a happy ending to a turbulent season that almost ended with The Bachelorette going home alone and broken-hearted. After last week’s episode, many viewers feared that Hartsock would leave the show. She had been “devastated” and “blindsided” when her first choice, Brooks Forester, revealed that he wasn’t ready to make a commitment. But, instead of abandoning her quest for love, she decided to move forward with the two men still vying for her affection — Siegfried and Drew Kenney. Peoplestylewatch.com reported that Lane arrived in Antigua with six engagement ring options for the final two suitors. One of the rings featured rose gold embellishments, and that’s the one that caught Siegfried’s attention. Apparently, he preferred a style that was romantic, feminine and sophisticated, and the rose gold ring was the perfect match. Prince William has enlisted Queen Elizabeth’s personal jewelers to create a royal “push present” for Kate Middleton to commemorate the July 22 birth of their first child, Prince George Alexander Louis. 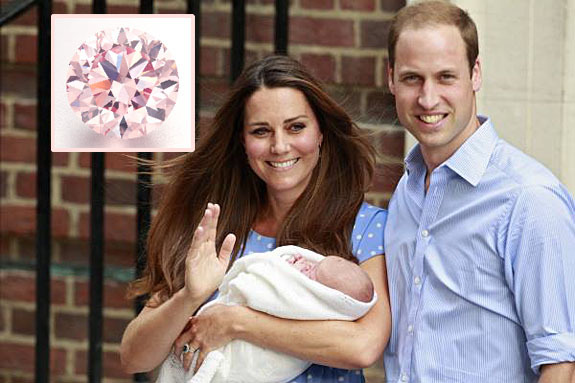 British tabloids are reporting that the gift is a fancy-color pink diamond brooch and that William has been active in the jewelry-design process. Apparently, he’s contributed a number of ideas to make the piece more sentimental. A member of William’s “inner circle” told The Daily Express, "William has been giving this a lot of thought for a long time. He's got lots of ideas from studying [the] history of art at [the] university and decided on a pink diamond as a centerpiece because it is pretty and feminine. It will be a thank you present to Kate." William’s post-birth gift for Kate follows a family tradition employed a generation ago by his father, Prince Charles. When Princess Diana gave birth to William, Charles gave the Princess an engraved gold medallion with “William” inscribed in his own writing and a gold charm in the shape of a "W."
According to The Daily Express, William had initially planned to give Kate an item from his late mother’s jewelry collection — she already wears Diana’s engagement ring — but decided that something from him would be more appropriate and sentimental. It comes as no surprise that a pink diamond was eventually chosen for this special gift because pink diamonds have been a favorite of the Royal Family for generations. 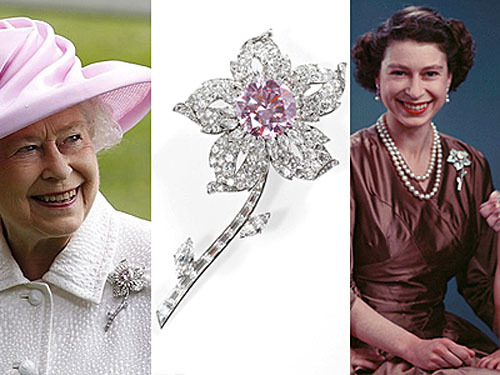 Queen Elizabeth II possesses the most famous pink diamond in the world—the Williamson Pink. Canadian geologist John Williamson presented the flawless 54-carat uncut pink diamond as a wedding present to the Queen back in 1947. It was later faceted and set as the 23.60-carat center of a flower brooch for Elizabeth’s coronation in 1952. She has worn it regularly for 60 years. 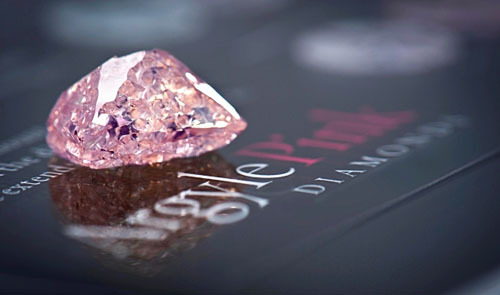 Last year, a large pink diamond from the Rio Tinto mining company was named “Argyle Pink Jubilee” in honor of Elizabeth's Diamond Jubilee. Originally billed as the largest pink diamond ever found in Australia, the 12.76 carat rough diamond could only be partially cut and polished because of a number of internal flaws that were discovered after the process had begun. It was subsequently donated to Australia’s Melbourne Museum. Welcome to Music Friday when we bring you sensational songs with jewelry, gemstones or precious metals in the lyrics or title. 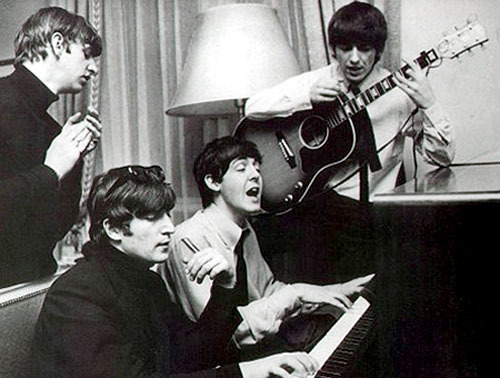 Today’s song is the forever-young “Can’t Buy Me Love” from the Beatles’ third studio album, A Hard Day’s Night. McCartney told an interviewer in 2000 that the idea behind the song “was that all these material possessions are all very well, but they won't buy me what I really want." And, what he wants, apparently, is love. When “Can’t Buy Me Love” went to number one on the Billboard Hot 100 on April 4, 1964, the entire Top 5 that day was filled with Beatles’ songs, including "Twist and Shout," "She Loves You," "I Want to Hold Your Hand" and "Please Please Me." This amazing accomplishment has never been repeated. Olympic gold medal winner Jessica Hardy harnessed the amazing power of the Twitterverse — and her 36,436 followers — to retrieve an engagement ring she accidentally gave away at the conclusion of the World Swimming Championships in Barcelona last week. After snagging two bronze and one gold medal at the high-profile competition, the 26-year-old beauty gave the backpack she had been using during the week to one of the local volunteers. According to swimmingworldmagazine.com., it is customary for world-class athletes to give away their backpacks, apparel and trinkets to thank the volunteers for their hard work. Little did Hardy realize that the engagement ring she had removed during her 50m and 100m breaststroke events on the last day of the championships was still in the backpack. 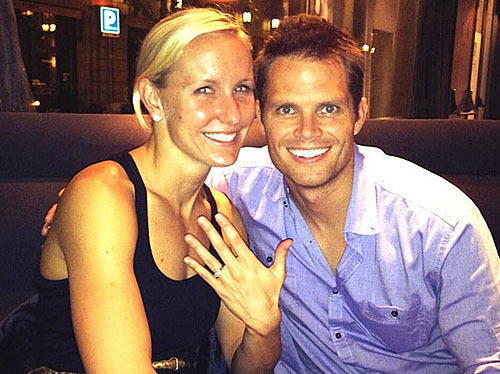 Hardy is engaged to a fellow Olympian, Swiss swimmer Dom Meichtry. Realizing her massive blunder, Hardy quickly turned to her universe of Twitter followers to help with the search. "I gave away my arena backpack w my engagement ring in it," she Tweeted. "To a volunteer in blue shirt. Pls rt & help me find it. Please!!!!!!" In a follow-up Tweet, she described where the ring was located in the bag. Within 30 minutes, the three-stone diamond engagement ring was back in her possession. "I GOT IT! !” she wrote. “Thank u #bcn2013 for ur AMAZING volunteers. Amazing amazing." About 90 minutes later, Hardy posted a photo of herself posing with the super-honest volunteer, who had apparently swapped his blue shirt for a red one. The caption read, "This is who found my ring tonight. Thanks so much #bcn2013 volunteers, appreciate nice people in this world!!!" Equally pleased with the quick recovery was Hardy’s fiancé, who posted a Tweet of his own, complete with a winking emoticon. 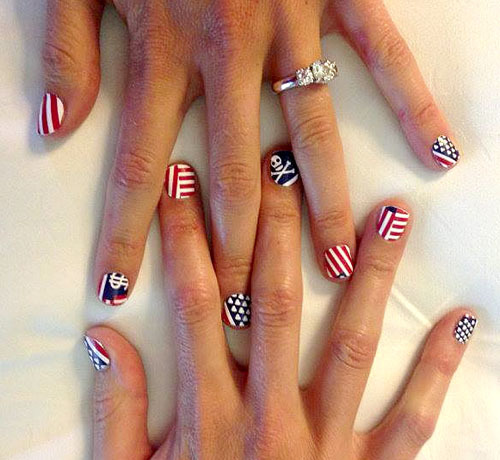 "Thanks to everyone who helped @swimhardy & I breathe a sigh of relief,” Meichtry Tweeted. “Found the ring. 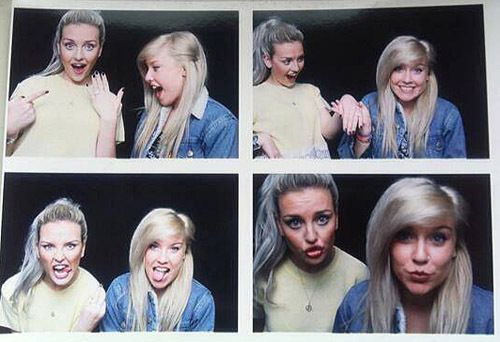 Engaged twice now." 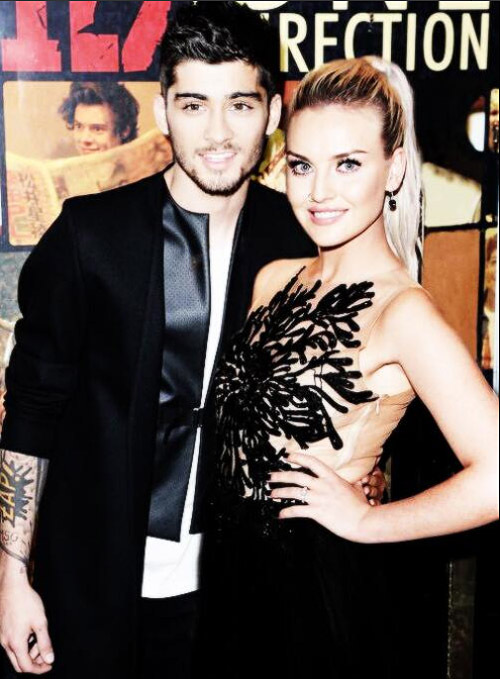 The aquatic couple will be wed in California this October. When Tess Montgomery arrived at a luxury hotel on the island of Favigana near Sicily, the Swedish-born model assumed she was there to participate in a fashion shoot. Actually, her love-struck boyfriend — former rugby star Garth Chamberlain — had set up the elaborate ruse to create the perfect venue for an unforgettable marriage proposal. Chamberlain secretly traveled to the same hotel just ahead of Montgomery to set up hidden cameras that would document the surprise proposal. 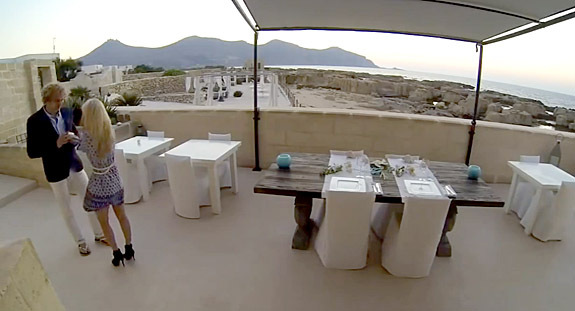 The resulting 5:47 video, which included more than 60 time-lapse clips and 100 still photographs recounting the jet-setting couple’s three-year courtship, has become an instant YouTube sensation with more than 453,000 views. Originally from Zimbabwe and now living in London, Chamberlain worked with Montgomery’s modeling agency, MOT Models, to fake a booking that would have his girlfriend heading to one of the most scenic and romantic places on Earth — the Cas’almare Hotel in Favigana. When Montgomery arrived on the hotel’s gorgeous terrace she expected to meet with a photographer and his crew but, instead, a hotel staffer handed her an iPad. With boyfriend Chamberlain hiding just out of site, the iPad played a video that explained in an elaborately edited montage why she is really in Italy. In the video, Chamberlain returns to the London pub where he saw his love for the very first time. He also includes a segment where he travels to Sweden to ask Montgomery’s father, Holger, for his daughter’s hand in marriage. As the video concludes, Chamberlain comes out of his hiding spot and joins Montgomery on the terrace. He gets down on one knee, pulls out a ring box containing a princess-cut diamond solitaire and proposes to his delighted and overwhelmed girlfriend. Of course, she says, “Yes.” A wedding is planned for New Year’s Eve 2014 in Zimbabwe. An edited version of the epic proposal is titled “What Really Happened in Italy.” The viral video is below. 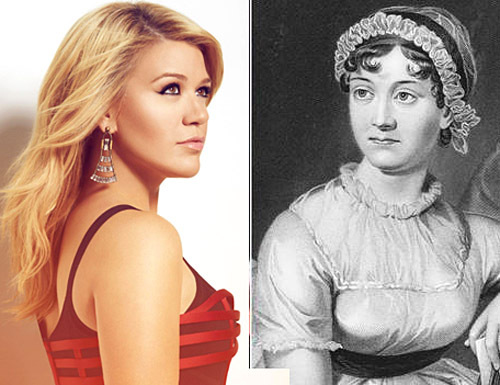 It looks like pop star Kelly Clarkson will never take possession of a turquoise ring once owned by novelist Jane Austen, despite having won it fair and square at Sotheby’s London auction last summer. 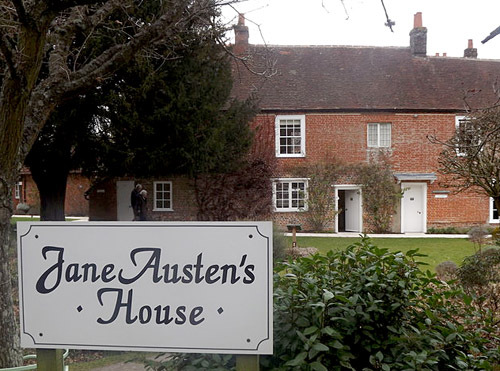 A deep-pocketed patron of Jane Austen’s House Museum donated $155,000 toward a fund that will likely keep the ring in Britain. 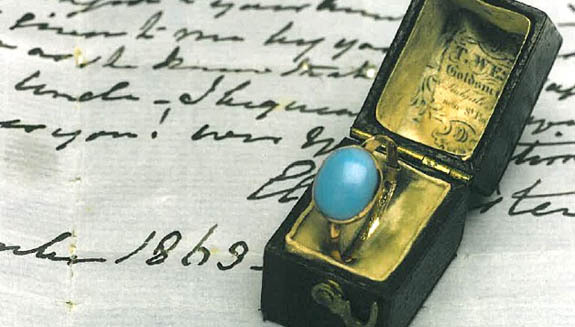 Earlier this month, British officials declared the famous novelist’s turquoise cabochon ring a national treasure and temporarily blocked the export of the ring in the hope that someone locally would come forward to match the $235,000 price that Clarkson paid at auction. 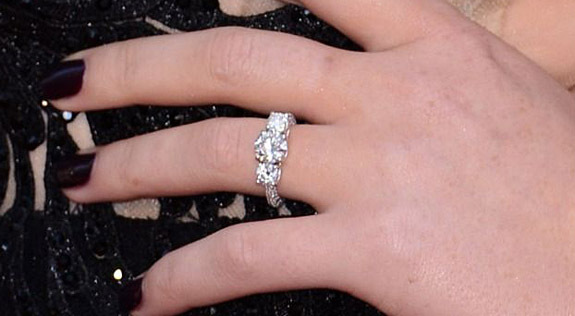 The Texas-born singer agreed to sell the ring if an equal offer was made. Through their website and Facebook page, curators of Jane Austen’s House Museum made a plea for donations. The “Give Jane Austen a Ring” campaign quickly received an anonymous donation of £100,000 (about $155,000) that will take the museum two-thirds of the way toward meeting its financial goal. Representatives of the museum are confident that they will be able to buy the ring from Clarkson and put it on display in Chawton. A post on the museum's website reads, "Total after the weekend stands at £103,200 after an ASTONISHING private donation of £100,000. Only another £49,000 to go!" The museum, which occupies the 17th century house where Austen spent the last eight years of her life, already owns two of the writer’s jewelry items. These include a turquoise bracelet and a topaz cross. 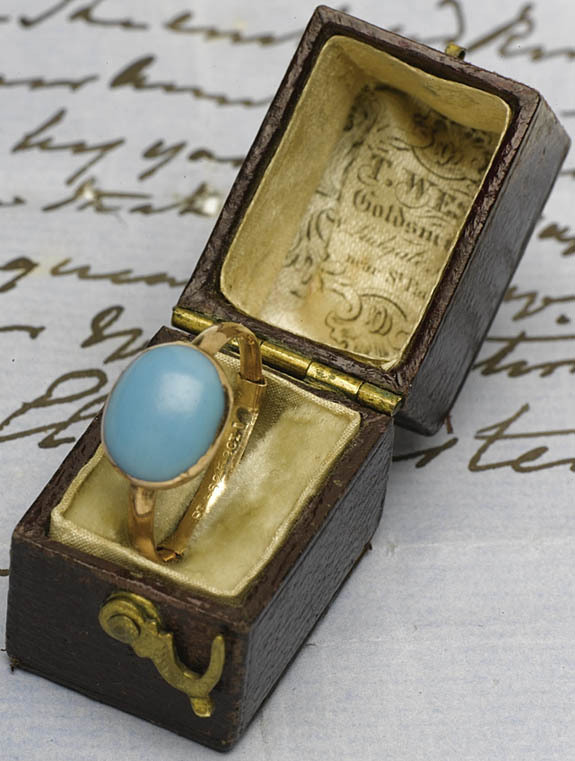 Austen, the author of Pride and Prejudice and five other iconic novels of the early 19th century, died in 1817 at age 41 and left the turquoise ring to her sister; it remained in the family until it was sold at auction last year. 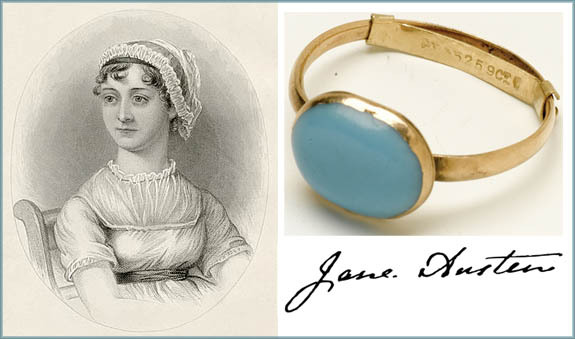 Clarkson, a longtime fan of Austen’s work, won the ring anonymously in July 2012 when she outlasted seven other bidders, including Jane Austen’s House Museum. She ended up paying five times Sotheby's high estimate for the rare ring. 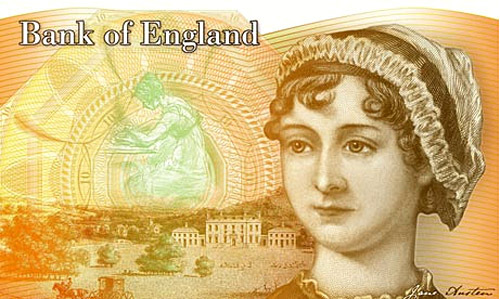 Even though the writer passed away nearly 200 years ago, Austen still maintains near-rock-star status in the U.K. Her image is set to appear on the 10-pound banknote starting in 2017. Meanwhile, Clarkson is reportedly wearing a replica of the Austen ring while the international drama plays out and she anxiously awaits the fate of her much-coveted British treasure. 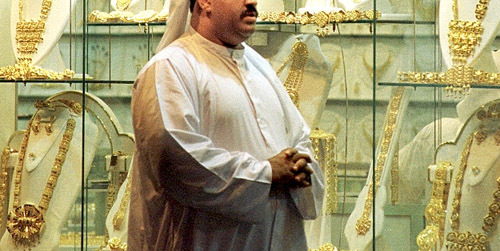 The super-wealthy — but increasingly corpulent — city-state of Dubai is about to reward successful dieters with one gram of pure gold for every kilogram of weight they’ve lost during the previous 30 days. The creative “Your Weight in Gold” initiative, during which “the more you lose, the more you gain,” was devised to encourage healthier lifestyle choices and draw awareness to a national crisis where diabetes cases are skyrocketing and adult obesity rates exceed 33 percent. Last month, thousands of Dubai’s citizens signed up and weighed in at a number of sites throughout the city. Participants were promised about $19 in gold for every pound they lost during the 30-day period that ends this Friday. Medical and nutritional experts were on hand to advise people on the proper ways to lose weight. 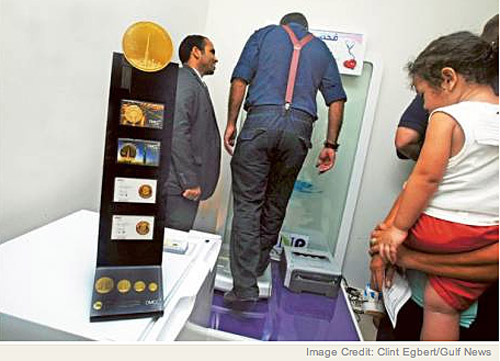 Participants had to shed at least 2 kilograms (about 4.4 pounds) to qualify for an award, and there was no limit on the payout. The top-three dieters will get bonus gold coins worth as much as $5,400. After three days of weigh-ins starting tomorrow, the municipality will SMS the participants with their results. Then they will be invited to attend an awards ceremony to claim their gold. 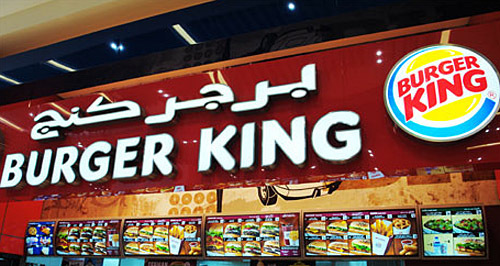 Dubai’s extreme wealth, hot climate, sedentary lifestyle, fondness for curvy figures and affinity for high-calorie American-style fast food have all contributed to the country’s collective weight problem. Being overweight or obese is linked to increased risk for chronic diseases, including heart disease, Type 2 diabetes and some cancers. In June, the American Medical Association officially classified obesity itself as a disease, according to cbsnews.com. Welcome to Music Friday when we bring you cool songs with jewelry, gemstones or precious metals in the title or lyrics. 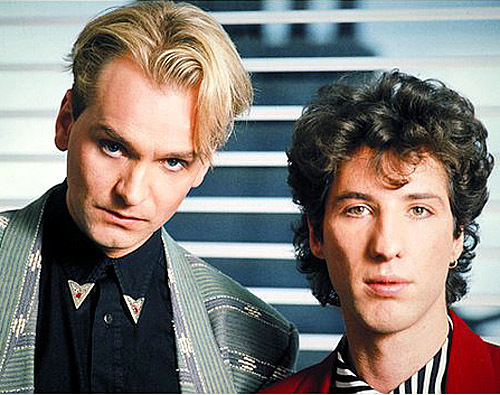 In 1984, British New Wave band Wang Chung helped define a generation with its international hit “Dance Hall Days.” The memorable song, which continues to be a darling of Hollywood filmmakers, includes last-verse mentions of two popular gemstones — amethyst and sapphire. “It’s all a bit more hallucinogenic in a way, how things that start off simple get complex,” he said. “Dance Hall Days,” which charted in 12 countries and peaked in the U.S. at #16 on the Billboard Hot 100 chart, put a New Wave timestamp on a slew of popular movies, including Bachelor Party, Pretty in Pink, Gotti, Romy and Michele’s High School Reunion, Adventureland, The Informers and The Fighter. The band’s unusual name translates to “yellow bell” in Mandarin Chinese. Wang Chung is also the first note in the Chinese classical music scale. Don’t miss the 2012 live performance of “Dance Hall Days” at the end of this post. The lyrics are below if you’d like to sing along. Written by Jack Hues. Performed by Wang Chung. Teen pop megastar Justin Bieber made a little girl’s dream come true last week when he gave the eight-year-old fan her first kiss (on the cheek) and accepted her marriage proposal at a Make-A-Wish Foundation event in Atlanta. The Make-A-Wish Foundation thrilled Rafanan on Christimas Day 2012 with the news she would get to meet Bieber and attend his concert in Atlanta on August 10, 2013, according to the New York Daily News. The 19-year-old singer has granted 200 wishes to date, making him the most charitable celebrity in the history of the Make-A-Wish Foundation. When asked how it feels to be Bieber's 200th wish, Rafanan said, "It feels great because... he kissed me." Bieber's mother, Pattie Mallette, told Andy Cohen on "Watch What Happens: Live" that the pop star meets with Make-A-Wish recipients before almost every concert. "This is what it is about. Thanks," Bieber tweeted to the Make-A-Wish Foundation's Twitter account. The next day, he followed up with another enthusiastic tweet: "Honored yesterday. one of the best moments ive ever had. thank u. looking forward to doing more together. thanks." “The Premier Blue” is expected to set a new price-per-carat record when it makes its auction debut at Sotheby’s Hong Kong on October 7. The exceptional gem is the largest round brilliant fancy vivid blue diamond ever graded by the Gemological Institute of America. If The Premier Blue meets its pre-sale estimate of $19 million, the internally flawless 7.59-carat gem will establish a new auction record at $2.5 million per carat, the highest per-carat price ever paid for any diamond. 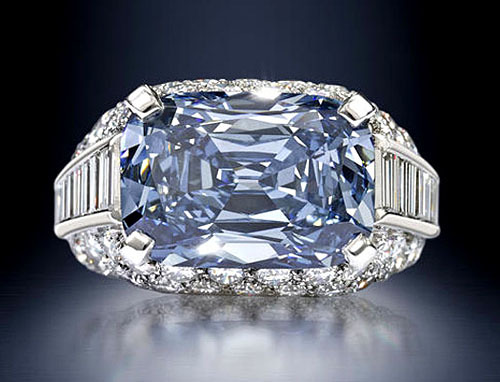 In April, British billionaire Laurence Graff placed the winning bid of $9.5 million at Bonhams' Fine Jewellery sale in London and came away with a 5.3-carat fancy deep-blue diamond Trombino ring. Graff’s blue diamond is the current record holder at $1.8 million per carat. Named for the famous South African mine where it was unearthed, The Premier Blue features three characteristics that are extraordinarily rare for a colored diamond — its size, fancy vivid color and round shape. The round brilliant shape is infrequently chosen for a large fancy-color diamond because more than half of the original weight is typically lost in the cutting and polishing process. In the case of The Premier Blue, the cutter decided for opt for maximum brilliance. Blue diamonds get their color from a rare natural phenomenon when a little bit of boron gets trapped in the carbon crystal structure. It is estimated that one out of 200,000 diamonds found in the world has any hint of a blue color to it, and typically it’s a very pale blue. 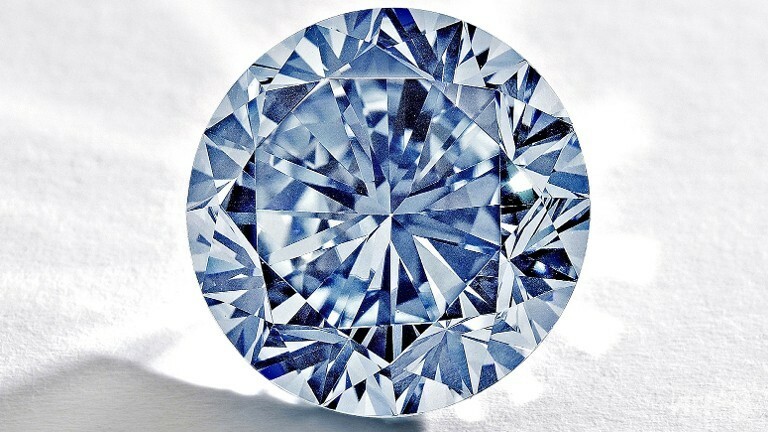 Quek Chin Yeow, Sotheby Asia's deputy chairman, said Hong Kong was the natural venue to sell The Premier Blue, because Asian buyers prefer round cuts and fancy-color diamonds. Prior to the sale, Sotheby’s will be previewing the stone, along with other auction items, in six Asian cities, as well as Geneva, London, New York and Doha. 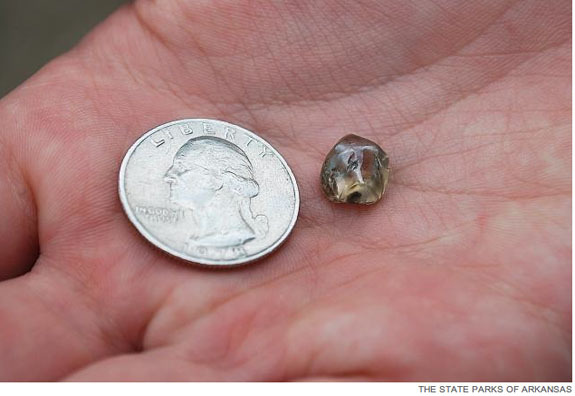 GMA’s five million viewers learned how the vacationing North Carolinian snapped up the jelly-bean-sized, honey-brown diamond within 10 minutes of arriving at the popular Arkansas destination, and almost left the park without getting the stone checked out. “I was looking around on the ground and found it on top," Michael told GMA. "It was very glassy. Very smooth. It didn’t look like anything else around it." At first, Michael and his family didn’t think it was a diamond. "Later on in the day, right when we were ready to quit, my wife showed it to me again and then I thought, you know, that might really be something," said Chris Dettlaff, Michael’s dad. At that point, Michael and his sister visited the park’s identification center, where specimens are analyzed for free. "When I brought this rock out of the bag, the guy who's there, he just went bug-eyed and he said, 'Hang on a second. I need to take this to the back room,'" Michael recounted. "So then people start coming from everywhere and they're like, 'Oh yeah. It's a big diamond.'" The 5.16-carat gem is the 27th largest diamond ever found at the diamond site. 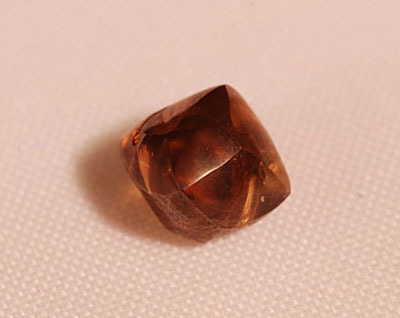 Once cut and faceted, the honey-brown diamond could be worth as much as $15,000, GMA reported. 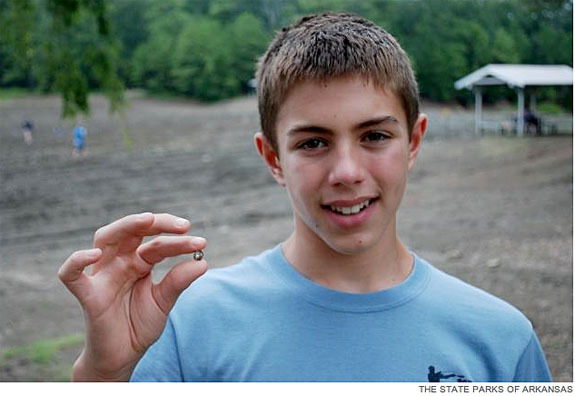 "If it can get cut and it's valuable, I think I'd probably want to have it cut and sell it," the young prospector said. "If it's not, well, then it's a souvenir." The search area at the park is a 37 1/2-acre plowed field, which is actually the eroded surface of an ancient volcanic crater. It’s the only diamond-producing site in the world where amateur miners get to keep what they find. Park admission costs $7 ($4 for children). 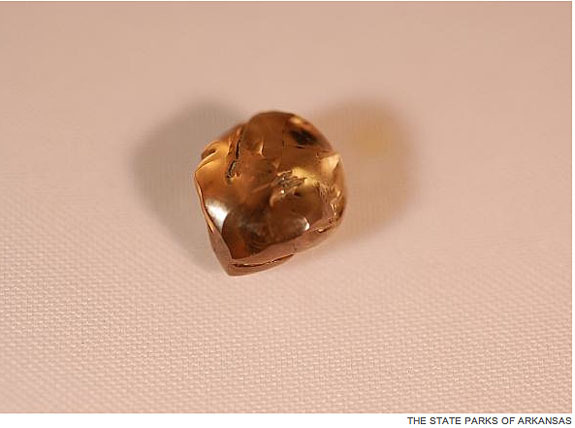 Back in April, a recreational prospector celebrating her 30th birthday made news when she scooped up a 2.10-carat iced-tea brown diamond. A breakthrough product, called the NFC Ring, has the ability to remember your passwords, unlock your smartphone or tablet, share contact information or even start your car. It requires no power supply and can “connect” with another NFC-enabled device with the swipe of your hand. 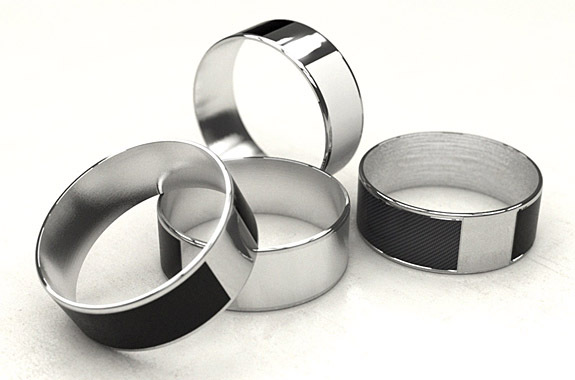 The technological magic behind the titanium ring is called “near field communication,” or NFC. The NFC ring is designed with two data panels, a larger one on the top for public information and a smaller one on the bottom for private information, such as passwords. A fist-bump hand gesture (exposing the top of the ring) might transfer your Twitter handle or email address to a new friend, while an open-hand gesture (exposing the bottom of the ring) might open the lock on your NFC-enabled front door or even start your car. 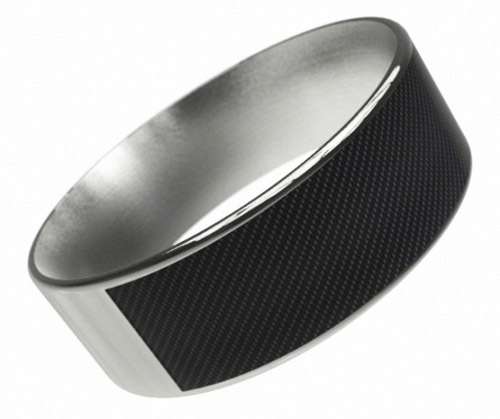 The ring is designed so that it must come within a millimeter of another NFC-enabled device for it to be recognized. This reduces the risk of the data being accidentally or maliciously read, according to technologyreview.com. The ring’s two data panels are programmable by the user. The Open Source technology will allow creative developers to come up with their own uses for the NFC ring. The company is also making the CAD files available so designers can fabricate rings on their own, presumably purchasing the data panels from the company. NFC Ring inventor John McLear got the initial funding for his project through a Kickstarter campaign, where supporters got to make a $43 donation toward a goal of $46,000. At the end of the campaign, the NFC ring had 7,665 backers and McLear had raised $380,000. The first NFC rings will hit the market this fall. Pricing for the rings has yet to be revealed. Welcome to Music Friday when we bring you chart-topping songs with jewelry, gemstones or precious metals in the lyrics or title. 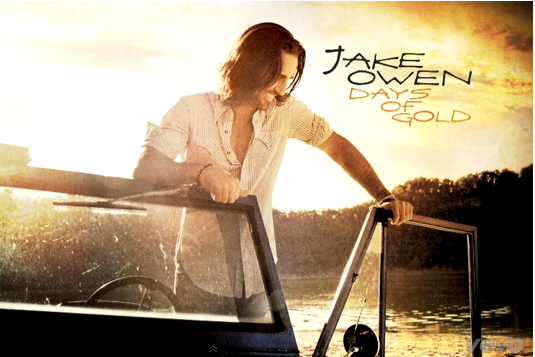 Today we present “Days of Gold,” the brand new release from country star Jake Owen. A song about enjoying the good times, “Days of Gold” made its debut at #37 this week on Billboard’s Hot Country Songs chart. Its instant success was helped along by the singer's August 8 appearance on NBC’s “Late Night With Jimmy Fallon,” where he performed the song live. The title track from Owen's fourth studio album, “Days of Gold” has earned critical acclaim. Taste of Country music reviewer Billy Dukes wrote that “Days of Gold” isn’t a song, it’s a statement. “Words like ‘uptempo’ or ‘rockin’ don’t even begin to describe the pace the singer keeps up for over three spellbinding minutes,” he wrote. The Vero Beach, Fla., native first captured the national spotlight with his hits “Startin’ With Me,” “Don’t Think I Can’t Love You” and “Eight Second Ride.” He earned a Grammy nomination in 2008 and was named the Academy of Country Music’s Top New Vocalist in 2009. See the end of this post for a video of Owen singing “Days of Gold.” The lyrics are below if you’d like to sing along. Written by Jaren Johnston and Neil Mason. Performed by Jake Owen. Or you can shake it for me baby like a tambourine. On Friday, a Reno, Nev.-based microfabrication firm revealed that it successfully engraved the first million digits of the infinite number pi on a three-inch gold and sapphire pendant. This amazing technology has exciting jewelry applications, and the "pi" accomplishment is neatly timed to align with next year's especially significant Pi Day. Pi Day is celebrated around the world on March 14, because the first three digits of pi are 3.14. Next year's Pi Day celebration will be particularly memorable as 3/14/15 represent the first five digits of pi, 3.1415. "We plan to revolutionize jewelry, fashion and art with a light-scattering marriage of technology and meaning," said Jesse Adams, Ph.D., and co-founder of NanoJems. Imagine wearing the complete text of William Shakespeare’s 154 sonnets (that’s 17,700 words) micro-engraved on a quarter-inch crystal and mounted in a heart locket? Or perhaps you’d like to own a pendant featuring two micro-engraved crystals containing the 90,000 words of J.R.R. Tolkien’s The Hobbit. 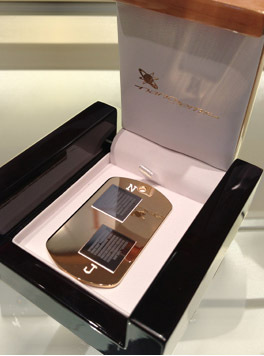 Using a patented micro-engraving technology, NanoJems makes it all possible. The company can print characters so small that 10 could fit neatly across the width of a human hair. 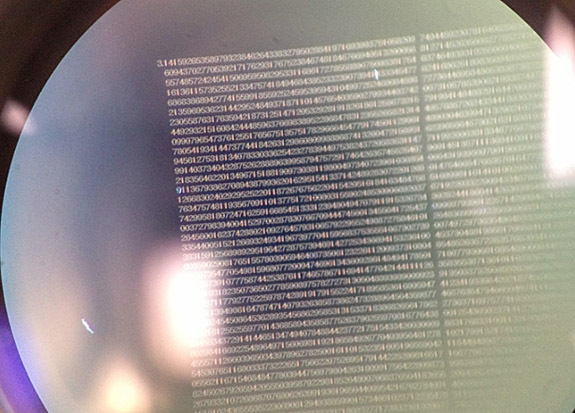 The engravings can be read using a high-powered microscope. What’s more, the technology also allows for image printing. The company can produce Instagram and Facebook mashups that combine up to 30 images and up to 20,000 words into custom light-projectable collectibles. 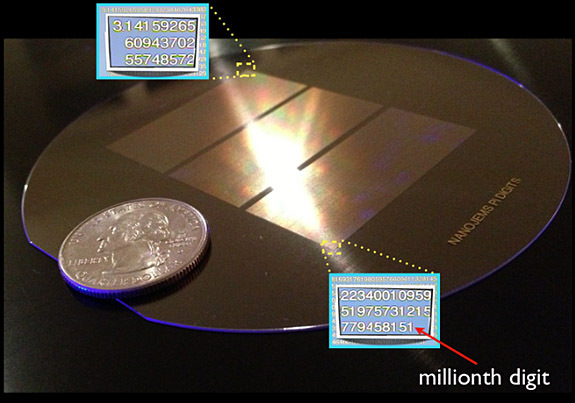 NanoJems explained that a micro-engraved mashup could be projected using an iPhone or Android flashlight or other light source. The company described its creative “canvas” as either uniform crystals or solid, thin slices of pure sapphire, which can be intricately patterned with gold and platinum and other precious metals and films. It also can be covered with translucent layer of diamond. NanoJems is attempting to generate new funding with a Kickstarter campaign that ends at 1 p.m. on Tuesday, August 27. 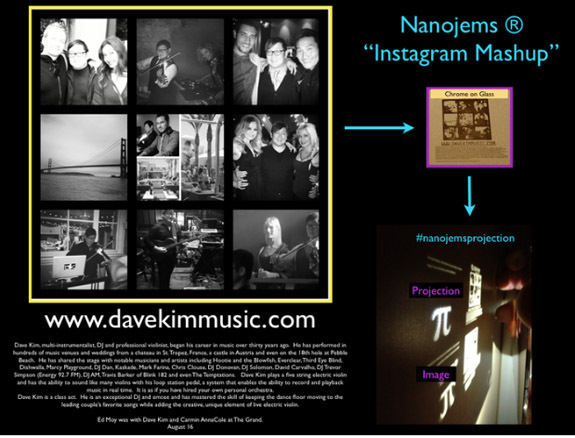 As of Monday morning, NanoJems had received pledges of $9,796 toward its goal of $16,800. While Sotheby’s star attraction is expected to fetch $19 million, the M.S. Rau headliner is being offered at a comparatively modest $9.8 million. The sky-colored Royal Blue is set in a beautiful platinum and rose gold ring, which is adorned with 96 vivid pink diamonds weighing 1.02 carats and 62 white diamonds weighing .97 carats. The Gemological Institute of America (GIA) gave the Royal Blue a VVS1 clarity grade, which means it has very, very slight inclusions. This grade is one step down on the clarity scale from “IF,” or internally flawless. M.S. Rau is billing the Royal Blue as the largest natural fancy blue diamond on the market today. On its website, M.S. Rau explained that blue diamonds are among the rarest and most desirable colored diamonds in the world today. Blue diamonds get their color from a rare natural phenomenon when a little bit of boron gets trapped in the carbon crystal structure. These gems often fetch 10 to 50 times more than comparable colorless diamonds. In recent history, less than 0.3% of all colored diamonds graded by the GIA were predominantly blue. Exclaiming that the rose quartz center stone in her engagement ring is “exactly me,” Aussie actress Teresa Palmer took to Instagram to show off her unconventional new bling from actor Mark Webber. Although rose quartz is very rarely seen in bridal jewelry, the symbolism behind the 33-year-old Webber’s gemstone choice is undeniable. Rose quartz is known as the “Love Stone,” and many people believe it is a high-energy mineral that has the power to shower a relationship in unconditional love. Webber’s proposal took place in early August on the set of the couple’s new movie, The Ever After. At the time of the proposal, the rose quartz ring was still being sized, so Webber cleverly improvised by using the sterling silver ring that his character gives to her character in the movie. Palmer accepted the faux ring happily and wore the studio prop until her actual engagement ring was ready. Palmer’s rose quartz ring finally arrived this past Saturday, three weeks after the proposal. Despite its beauty and romantic symbolism, few jewelers would recommend rose quartz as a center stone for an engagement ring. With a rating of "7" on the Mohs hardness scale, rose quartz could have trouble withstanding the wear and tear of daily use. Over time it could get scratched and look dull. Diamonds, by comparison, get a top Mohs rating of 10, while rubies and sapphires have a hardness of 9. Welcome to Music Friday when we bring you sensational songs with jewelry, gemstones or precious metals in the lyrics or title. As we say goodbye to August, we bring you Corinne Bailey Rae’s quintessential summer song, “Put Your Records On,” a tune that urges the listener to “let your hair down” and references the September birthstone — sapphire. 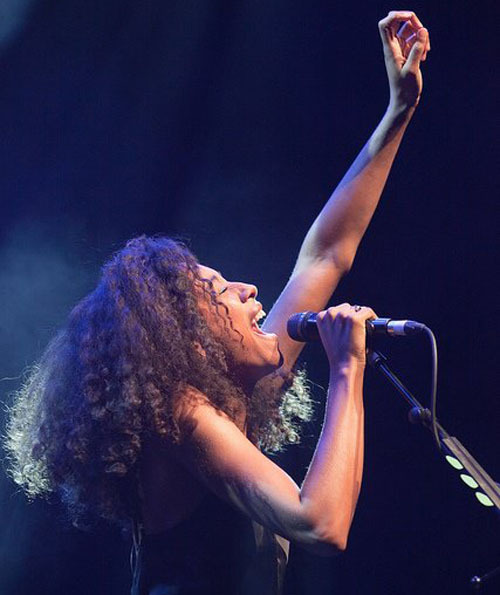 The 34-year-old British singer-songwriter and guitarist scored a huge hit with “Put Your Records On” in 2006 when it was released as the second single from her debut album, Corinne Bailey Rae. The song charted in 11 countries, sold nearly two million copies and was nominated at the 2007 Grammy Awards for "Record of the Year" and "Song of the Year." In the song about casting away worries, taking time to relax and embracing one's inner beauty, Rae sings the catchy phrase, “Sapphire and faded jeans, I hope you get your dreams. Just go ahead, let your hair down.” Although the “sapphire” in this line could be referring to a particular shade of Levi’s 525 straight leg jeans, we’re still happy to feature this song in our jewelry blog because Rae’s performance is awesome and her message is so uplifting. Since its release in 2006, “Put Your Records On” has become a go-to tune for reality TV singing competition contestants. Among those covering the song were Antonella Barba (American Idol), Alisha Bennett (The X Factor), Carly Rae Jepsen (Canadian Idol), Megan Joy (American Idol), Katie Stevens (American Idol), Nicolas David (The Voice), Danielle Bradbery (The Voice) and Caroline Glaser (The Voice). Written by Corinne Bailey Rae, John Beck and Steve Chrisanthou. Performed by Corinne Bailey Rae. Got to love that afro hair do. When you gonna realize, that you don't even have to try any longer?